I’m so HAPPY to be back with features this week! YAY!! What a pleasure it was to go through all your FABULOUS creations! Seriously, you guys ROCK with talent! Can I share with you one of Gabrielle’s latest creations? 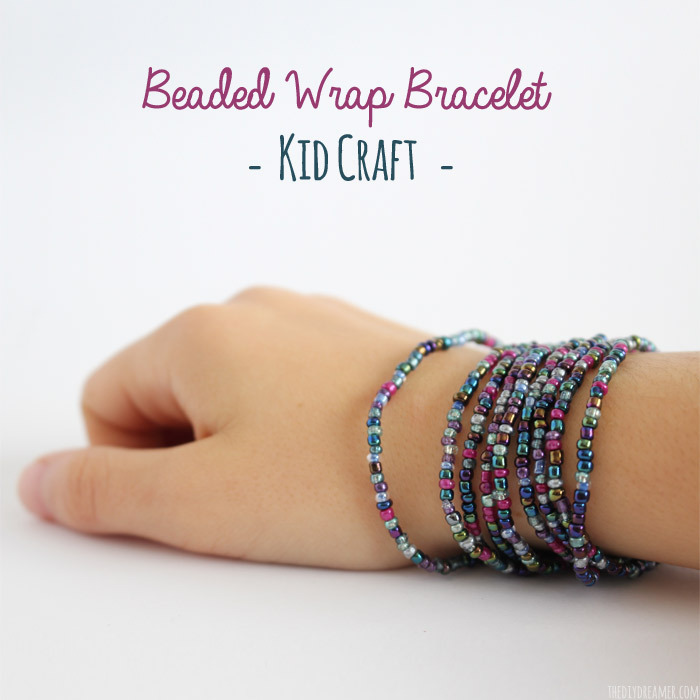 She made a Beaded Wrap Bracelet as a gift for a family member. I think it’s soooo PRETTY!! She asked that I share it on here in case you might want to make some as a gift too, isn’t she sweet?! 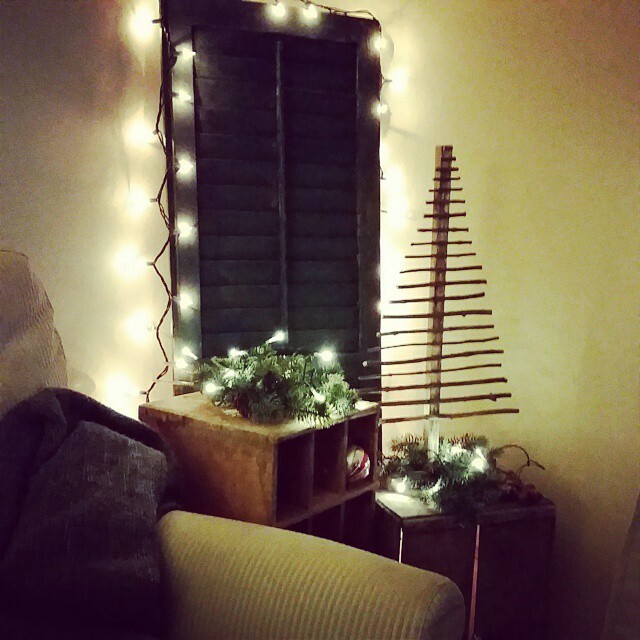 I sorta kinda started putting my Christmas decorations (photo I posted on Instagram). Have you started? Fabulous Creations – From Dream To Reality Features! 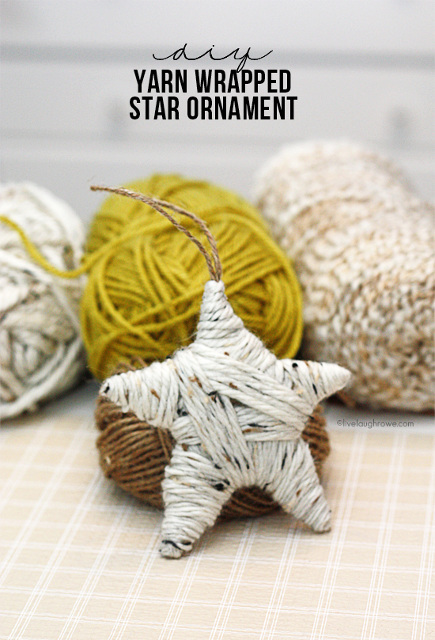 Yarn Wrapped Star Ornament from Live Laugh Rowe. 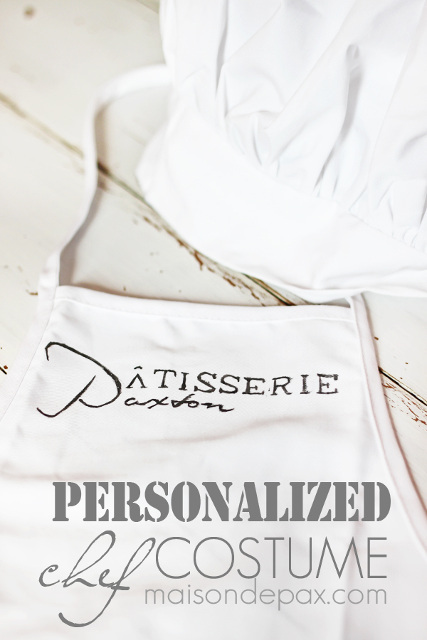 Personalized Apron (and adorable chef costume!) from Maison de Pax. 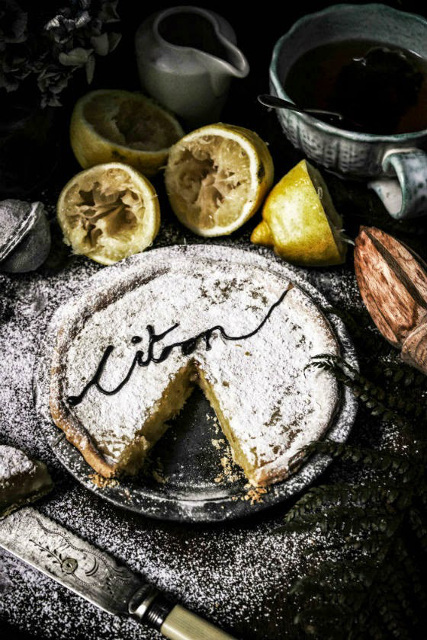 Tarte aux Citrons (Lemon Pie) from Twigg Studios. 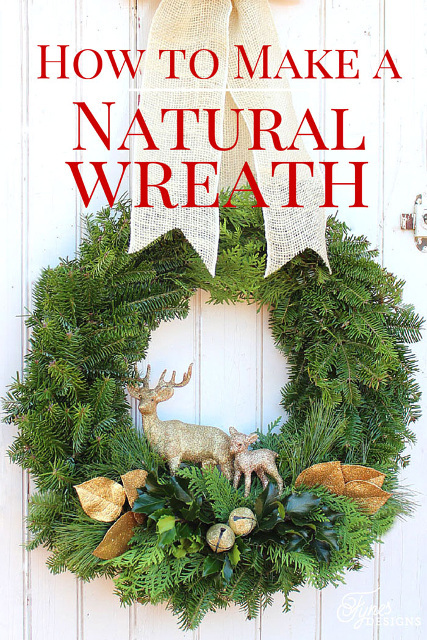 How to make a Traditional Christmas Wreath from Fynes Designs. 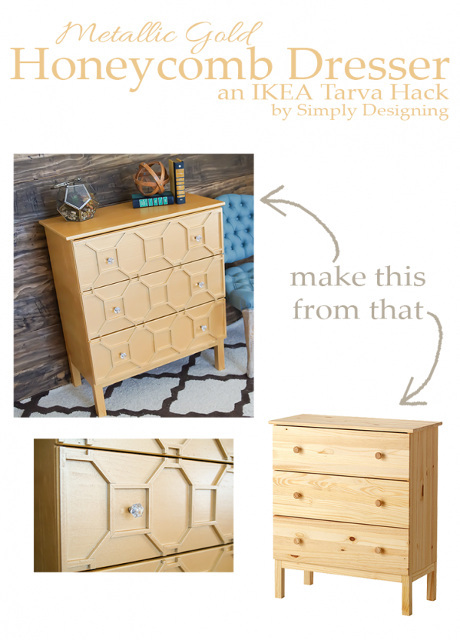 Metallic Gold Honeycomb Dresser from Simply Designing. 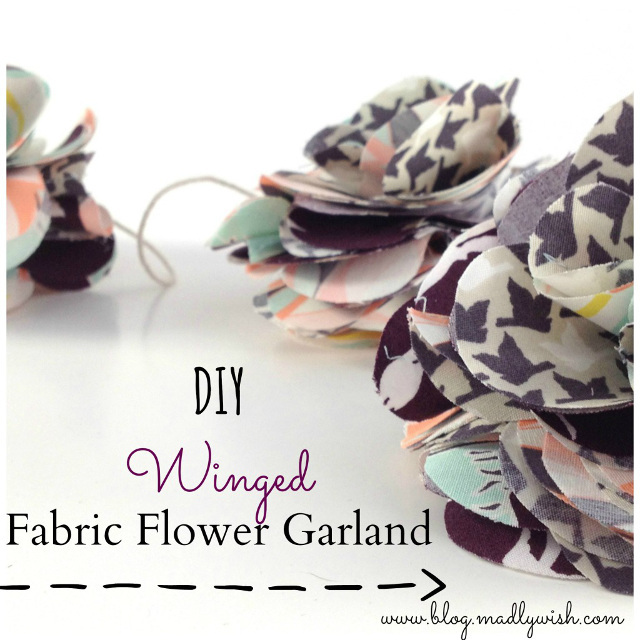 DIY Fabric Flower Garland from Madly Wish. 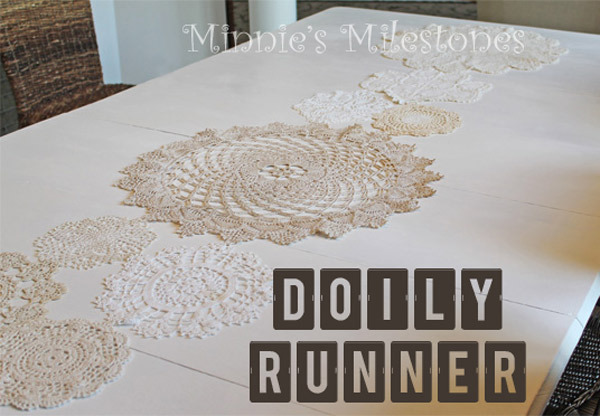 Doily Table Runner from Minnie’s Milestones. 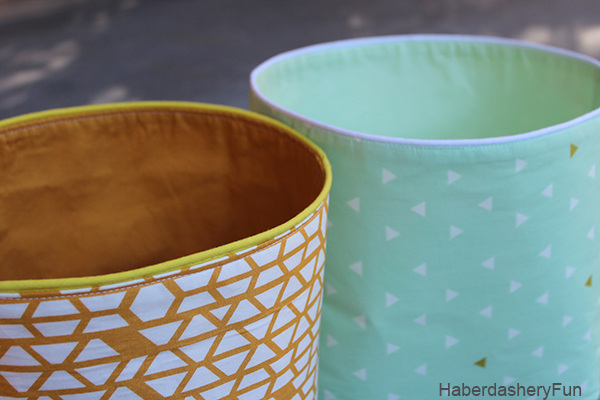 DIY Storage Bins with Piping from Haberdashery Fun. 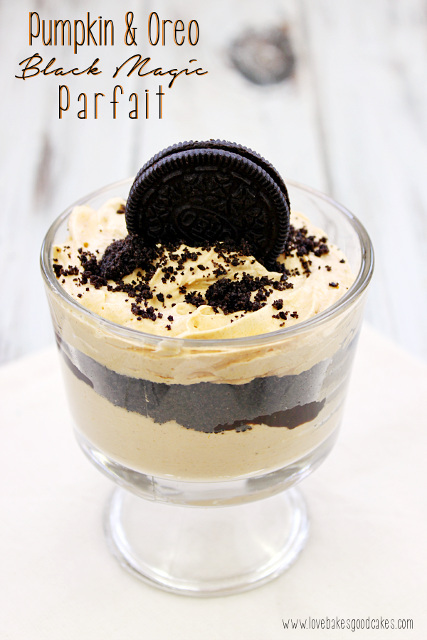 Pumpkin and Oreo Black Magic Parfait from Juggling Act Mama. 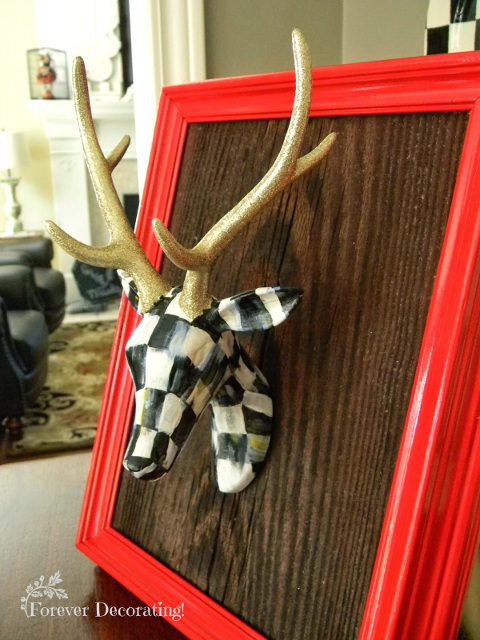 MacKenzie Childs Inspired Christmas Deer from Forever Decorating. From Dream To Reality #143 – Link up your fabulous creations! Wow. I haven’t been first to the party in a long time! Thanks for hosting each week. Have a great day. Thank you for an awesome party dear! Always fun joining the party, Christine! Thanks for hosting! Thanks for hosting, I love this linkup! Hello beautiful! It is always a pleasure to be a part of your party. Thank you for hosting. Please swing by our party. We would love to have you! Love the honeycomb dresser feature. Thanks for hosting. Thanks for the party pretty lady!! All the best for an extraordinary week, Christine! Thanks for the party! Hope you have a super week! Thank you for hosting! I love the features you chose. That yarn-wrapped ornament is especially darling. xo! Thank you Christine for featuring my doily table runner!